Stone coated steel roofs are available in a few different styles, including shake, shingle, and tile. These roof systems are also available in a barrel tile style. 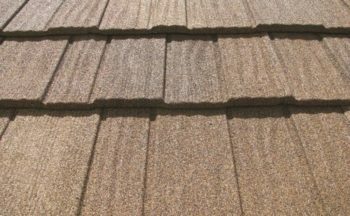 Some of the options that homeowners can choose from include Granite Ridge Shingle, Barrel Vault, and Canyon Shake manufactured by Gerard. 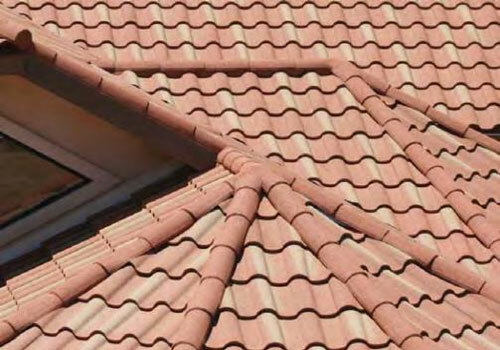 Decra, another manufacturer of this shingle type, offers Shingle XD, Villa Tile and more. Stone coated steel roofs come in more than 20 different colors, which provides homeowners with plenty of aesthetic options to consider. Contact us to schedule a free inspection and estimate. If you’re looking for a roofing system that offers the classic beauty of slate, clay tiles, or stylish shingles, but without the premium cost, then a stone-coated steel roof could be a sensible option for your home. Stone coated steel roofs offer several advantages over other types of roofing materials. Stone coated steel roofs can be made to mimic the look of more expensive or luxurious types of roofs. They can also be made to resemble roofing materials that typically don’t last as long as steel, or materials that require more maintenance than steel, such as slate roofs or clay roofs. Stone coated steel roofs have exceptional durability compared to other types of roofing materials. The panels of these roofs are not prone to absorbing a lot of moisture like wood can, or cracking and warping as asphalt tiles can. They can even stand up to winds that are over 120 miles per hour. Stone coated steel roofs are considered an eco-friendly option for homeowners. The steel used to make these roofs is recyclable and therefore better for the environment. There are different ways to install stone coated steel roofs. The most common way is the standard batten-installation method. This method involves placing down battens (long strips of wood or metal) with a batten spacer guide to provide better airflow and improve the structural integrity of your roof. Other methods include counter batten installation, direct to deck installation and shingle product installation. Counter batten installation offers improved ventilation, while direct to deck installation offers a faster way to install this type of roof.